Members of the RMPS Marine Unit and senior officers. 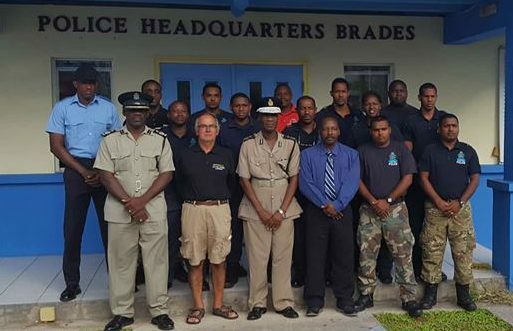 Members of the Royal Montserrat Police Service – RMPS have begun an intensive training ahead of the arrival of the new police boat. 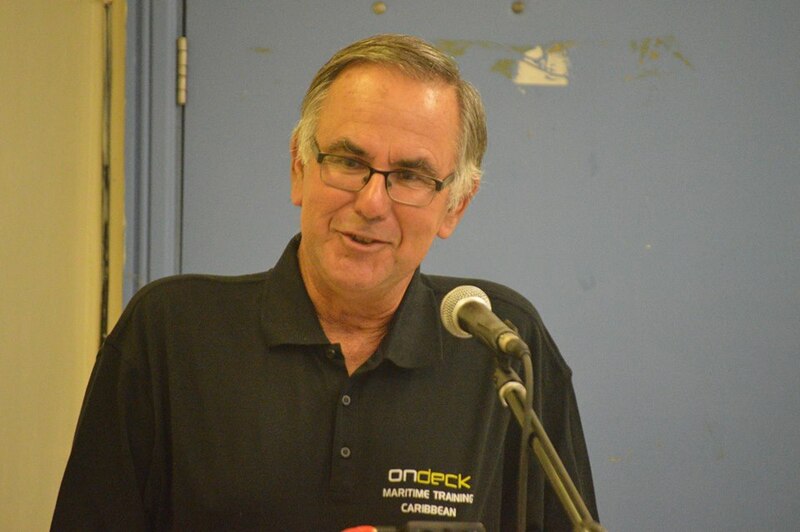 The training will be facilitated by Yachtmaster Peter Hopp of OnDeck, a marine training company based in Antigua. Hopp has more than 20 years in the maritime sector and is a UK-accredited instructor. Training began Saturday, January 6 with an all-day radio course. On Sunday, a five-day navigational course began with this coming Friday being focused on First-Aid. The trainees will then complete the course with a five-day intensive on Antigua. 13 officers including one from the Fire & Rescue Service are participating in the course which is required for the boat to be certified and to satisfy insurance policies, explainedÂ Police Commissioner Steve Foster. He said the goal is to have up to 16 officers certified as the boat needs a minimum of four officers while at sea and there are restrictions on the number of hours they will be able to work in a shift. The police men and women will also be appointed as immigration officers. Deputy Commissioner Charles Thompson told the officers this was a golden opportunity to improve their knowledge and to make the best of the training. In November it was announced that a contract had been signed for a new vessel which will be about 75 feet long. It is scheduled to arrive in April 2018. The vessel has been funded by the UK Governmentâ€™s Conflict, Stability and Security Fund (CSSF), which runs from 2016 â€“ 2020. Â The funding for the vessel includes a three-year maintenance package.